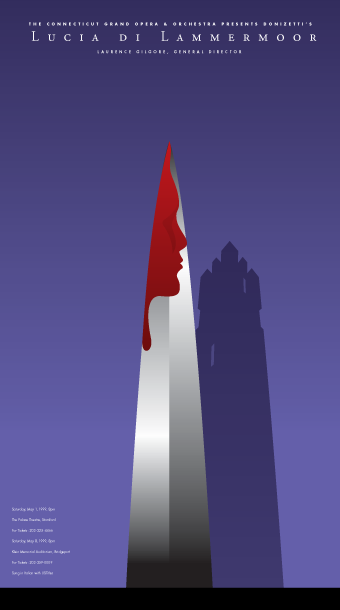 Lucia di Lammermoor | TFI Envision, Inc.
“Lucia di Lammermoor” is a dramma tragico in three acts by Gaetano Donizetti. The Lammermoor fortune is in danger unless Lucia makes a good marriage. Her brother Enrico is horrified to learn she has fallen in love with his sworn enemy Edgardo. Edgardo leaves to fight in France; before leaving he and Lucia privately exchange rings. Meanwhile, Enrico hastily arranges Lucia’s marriage to Arturo. Using a forged letter, Enrico tricks Lucia into believing that Edgardo has been unfaithful. 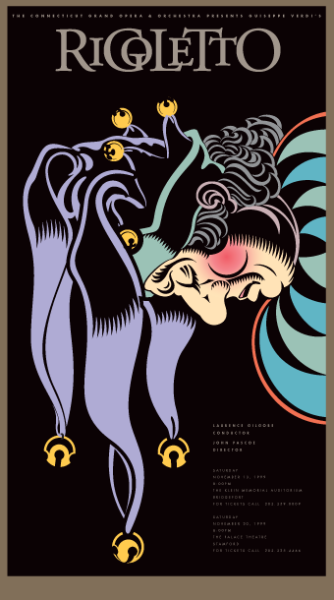 Longing for death, she signs the contract with Arturo – moments before Edgardo returns. Appalled at her infidelity, he vows eternal hatred. Lucia, driven mad, murders Arturo in their wedding bed and dies shortly after. On hearing the news Edgardo kills himself. 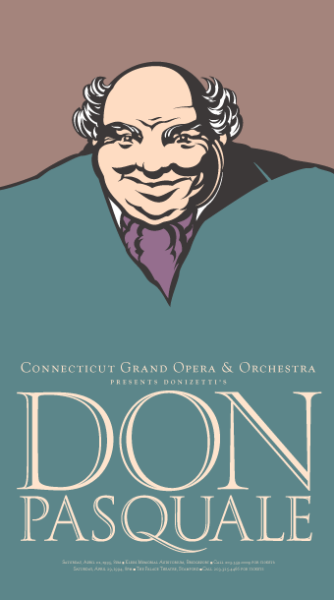 This award winning poster was designed and illustrated by Thomas G. Fowler for the Connecticut Grand Opera & Orchestra. Printed in an extremely limited quantity on high quality paper by H.T. Woods in 1999. We accept Mastercard, Visa, Discover or American Express.Shipping/Handling along with State Sales Tax (if applicable) will be added to your order upon processing. 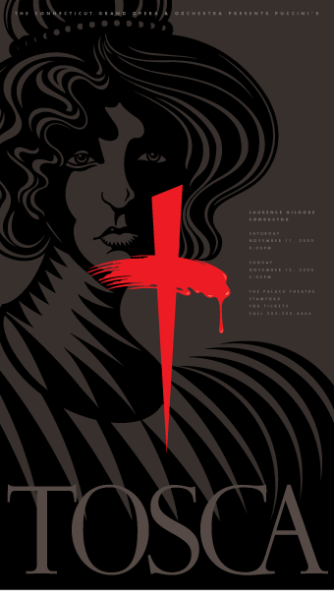 Be the first to review “Lucia di Lammermoor” Click here to cancel reply.